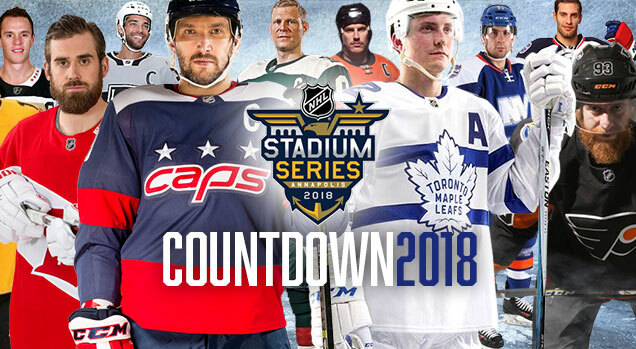 It’s that time of the year again…the annual Stadium Series featuring 4 games 2 games 1 game this Saturday (March 3, 2018) with the Leafs and the Capitals playing a game at the Navy-Marine Corps Memorial Stadium in Annapolis, MD. 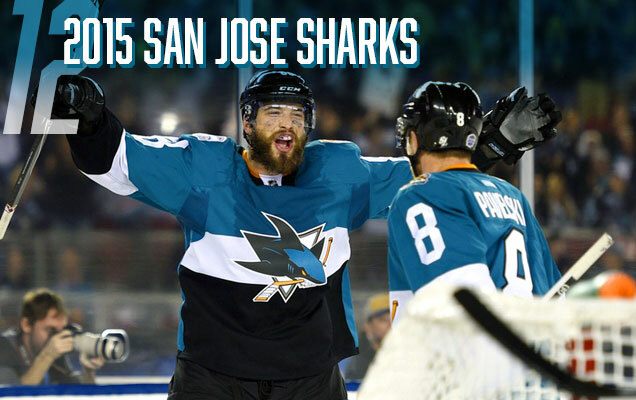 So, it’s time to do our annual countdown of the all the Stadium Series jerseys in existence. With two new additions this year, we’re up to 17 jerseys. Where will the Leafs and Caps fit in with the rest of them, and are either of them good enough to take top spot? 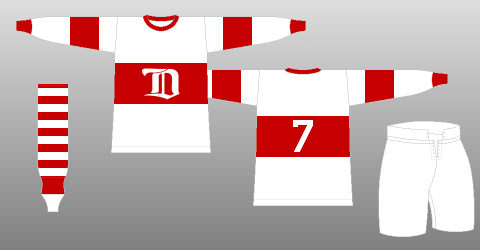 Just to be clear, design elements that are related to the league-mandated jersey templates (like 2014’s stupidly slanted sleeve numbers, or the stupidly large sleeve numbers, for example) won’t be considered, as they were league-mandated, leaving the teams with little recourse but to include them. Yup, still at the bottom. These are little more than orange pyjamas with a bad fake-chrome jersey on them. There’s too few other elements to counteract the extremeness of the orange that completely dominates the entire uniform. It needed full sleeve stripes, as well as striping along the bottom of the jerseys, and maybe ever the shoulder yokes. Just orange is just too much, and with the black gloves and pants, it’s getting a little Halloween-esque. And in case nobody has yet mentioned it (I’ve mentioned it many times on other posts), orange and beige don’t really work together. 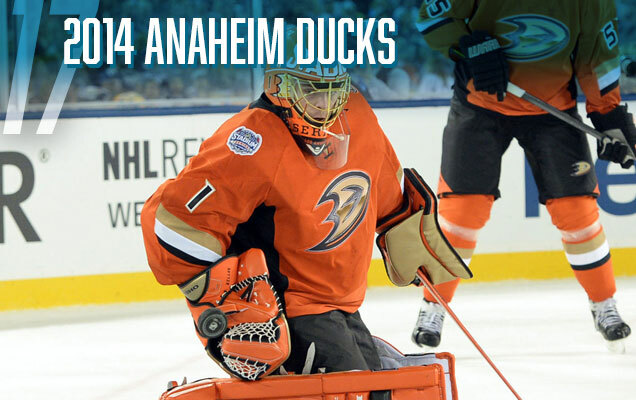 Kudos to Jonas Hiller though, for fully embracing the monstrosity of it all, by adding an orange helmet and pads to compliment these jerseys…if you can use the word ‘compliment’. 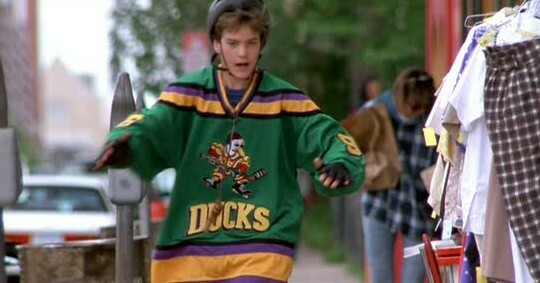 If I may offer an alternate idea for the Ducks that would have been awesome? How about the jerseys from the movie they’re originally named after? 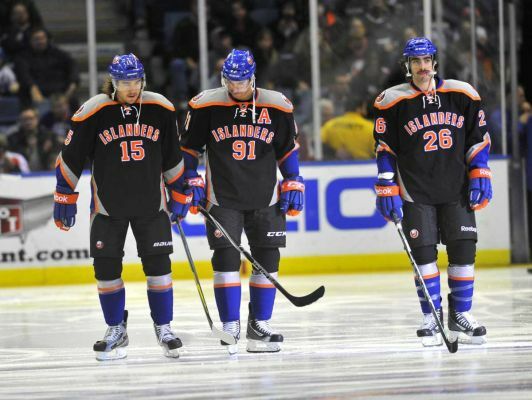 These are just not good jerseys. Extremely similar to the Ducks all-orange jerseys above, these all-black pyjamas get a higher spot because they have some bold orange stripes on them. I understand it’s difficult to create something amazing when you’ve already got one of the best jersey sets in the league, but this is a complete missed opportunity to do something that was at least somewhat interesting. They’re just so underwhelming and missing anything to get even the smallest amount excited about, we’ll just move along to the next jersey on the list thanks. 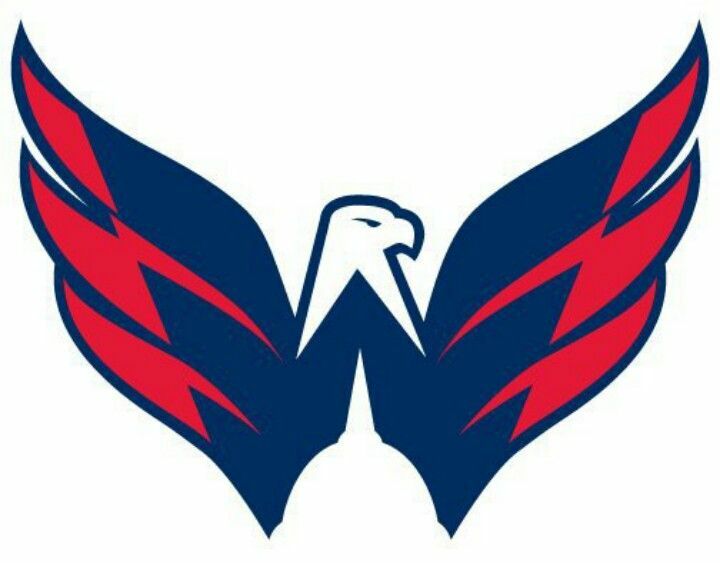 The Capitals enter this list at 13, with a jersey that’s unbalanced, too minimalist, and a missed opportunity to utilize a better logo they already had at their disposal (hello Weagle!) that doesn’t rely on slang and nicknames to be original. 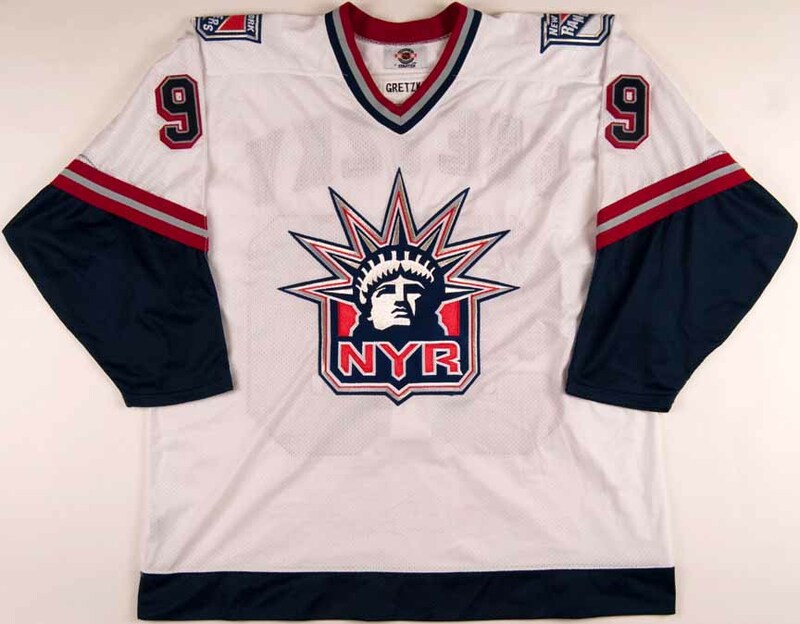 This jersey is another example of the League’s Stadium Series-mandated minimalism and intensely large elements gone awry to create a jersey that’s obnoxious and boring at the same time. And can we just stop staring at Ovechkin’s red belly please? 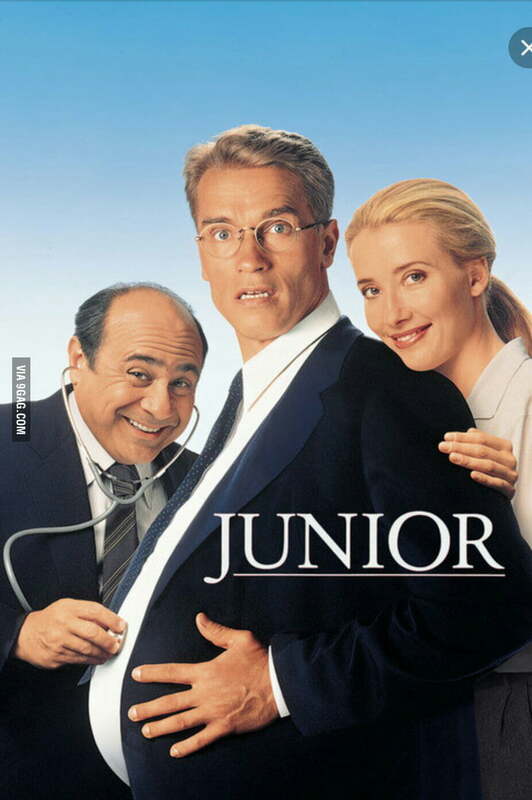 He may look pregnant, but he’s no Arnold. 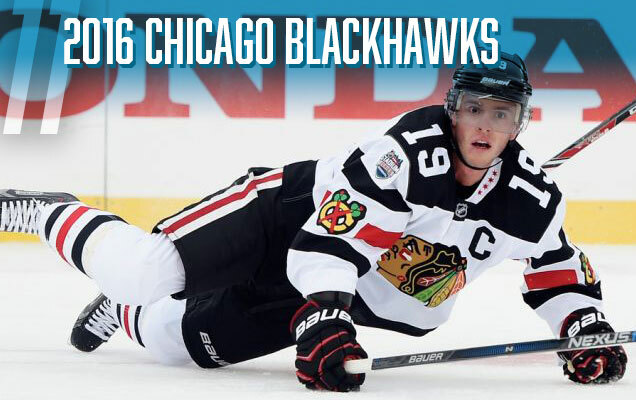 The lowest-ranked 2016 jersey belongs to the Blackhawks. It’s not a bad jersey per-se, but it’s just genuinely uninteresting. 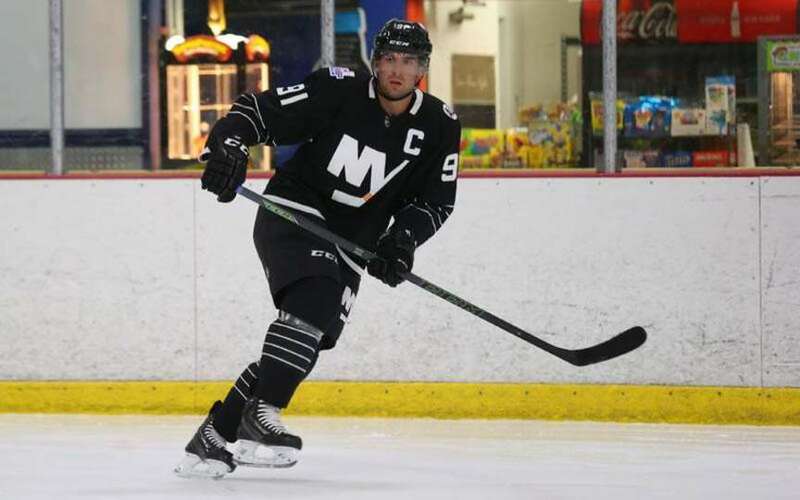 A white jersey with a few chunky black lines and a couple logos. It seems like there just wasn’t much effort put behind it compared to the other teams in the 2016 series. 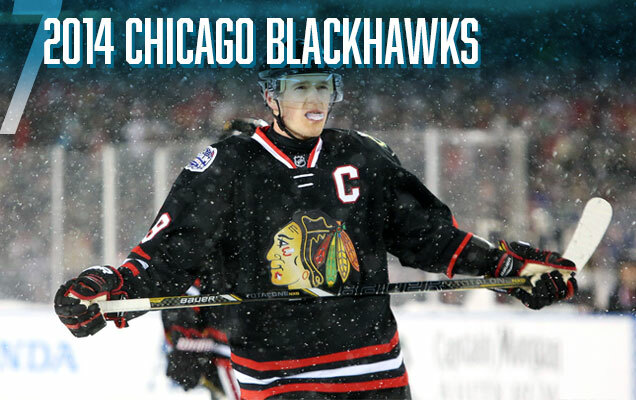 That could possibly be because this will be Chicago’s fourth outdoor game (compared to Colorado and Minnesota’s first, and Detroit’s third), so there’s only so far they’re willing to delve into their history to create interesting and/or on-brand one-off jerseys. And that cut-off date appears to be 1955 for them, so they’re starting to run out of options. Or there’s the option of asymmetric collars. Blah, no thanks. 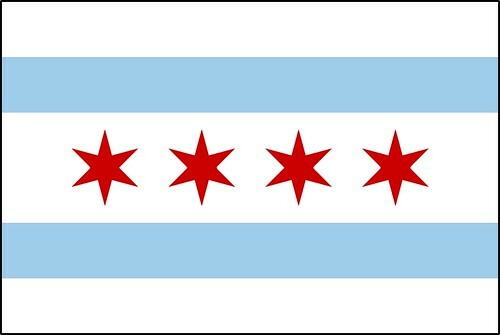 I like the Chicago flag stars on it, but the black-and-white half-collar just looks ridiculous. I’ve changed my mind a bit about this jersey. Originally, it was way down the list. Last year, it’s jumped up all the way to sit right outside the podium. This year, middle of the pack. There’s still issues, like how the light grey looks more like dirty white. And there were other possibilities, like bringing back the purple and/or yellow and using them on these updated Stadium Series jersey templates. 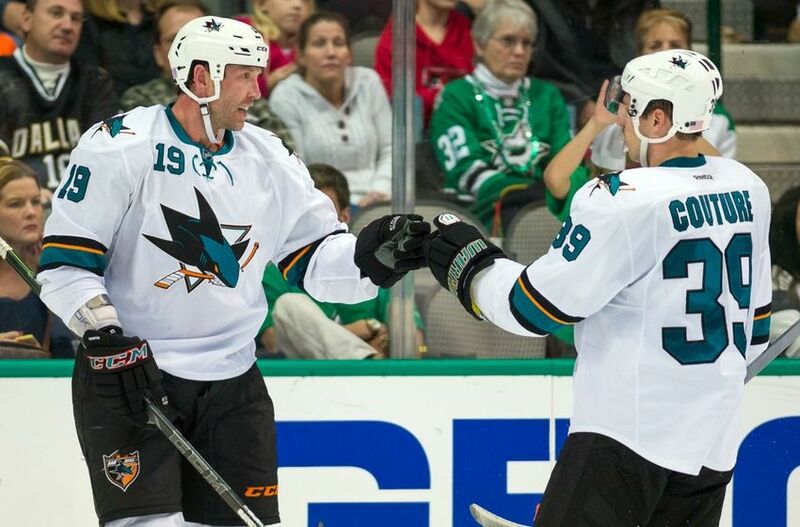 But sometimes, when you see a jersey in action during the game, it works better than it does seeing it static. There’s enough black and white thrown in with the grey to give it a lot of contrast and movement, and actually worked against a sheet of white ice. 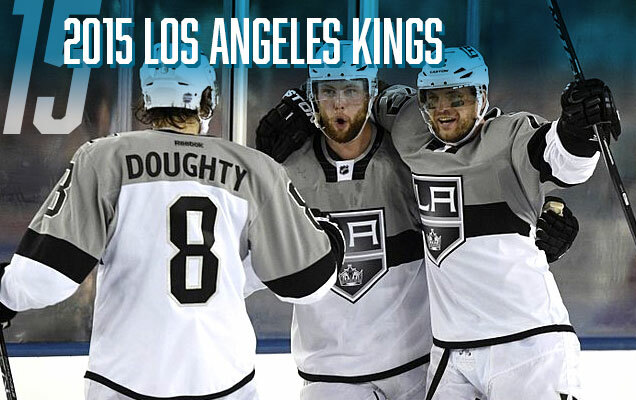 The “LA” shoulder patch still looks good and I’m glad they used some shoulder yokes. So, it gets a bump up the list. But it still doesn’t work on their 50th anniversary jerseys. 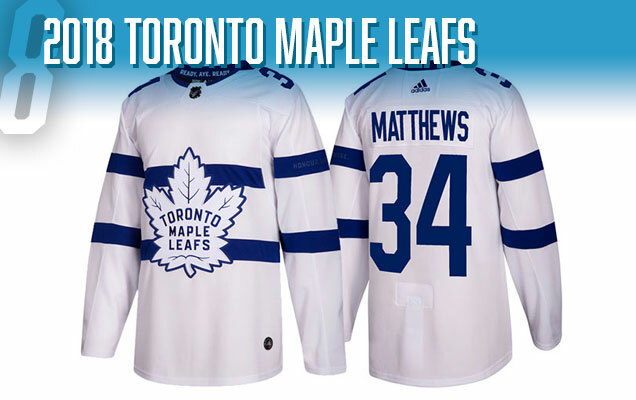 The Leafs join the list with their 2018 inclusion to the Stadium Series jersey canon. The jerseys themselves are not too bad on their own, out of context, but the blindingly white uniform? 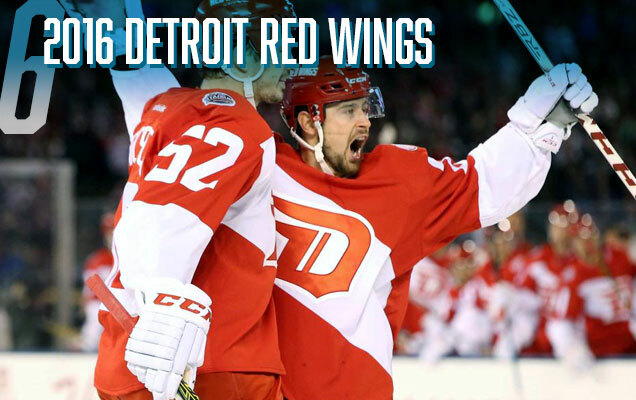 It’s obnixous and ill-conceived within the context of hockey aesthetics. The minimalism of the design elements don’t bug me. Using the Royal Canadian Navy uniforms and aesthetics as inspiration doesn’t bug me. Even the chest stripe doesn’t really bug me. 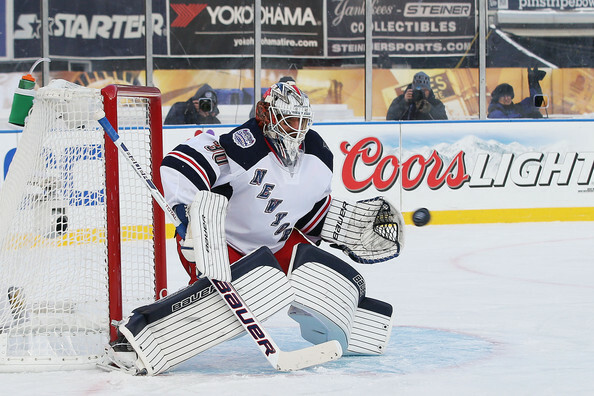 But a jersey and uniform that doesn’t mind its surroundings bugs me. It’s too obnoxiously white in a setting that demands colour. 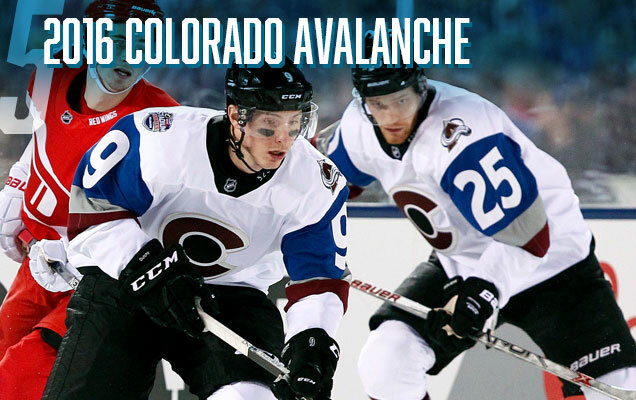 The first Colorado Avalanche outdoor jersey definitely hits some good marks. 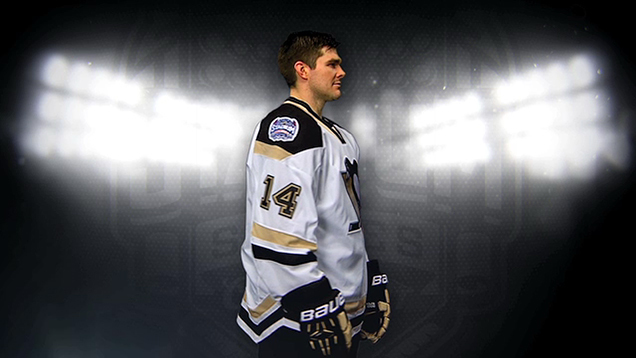 Overall, these are some pretty nice looking jerseys and it’s nice to see the home team wearing white (as it should be). Its clean simplicity will work well in the context of the venue, and it’s one of the better Stadium Series jerseys we’ve seen yet. But there’s minor details take it slightly down a notch, like the black-hole sun, the black collar, needing a stripe along the bottom. Minor details maybe, but it keeps it a little bit down on this list. 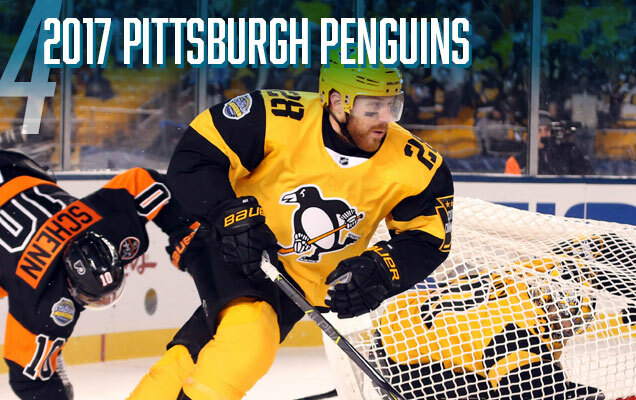 For a special one-off event like the Stadium Series, the Penguins ticked all the boxes: unique, interesting, on-brand, great details, Stadium-Series-esque. It’s well designed and conceptualized, but there’s some small mis-steps like the stencilled numbers and the while collar triangle, and they wouldn’t work as part of the full-time Penguins jersey roster. But for what they are, you can’t help but see these as a win for the Penguins and the Stadium Series jersey library as a whole. 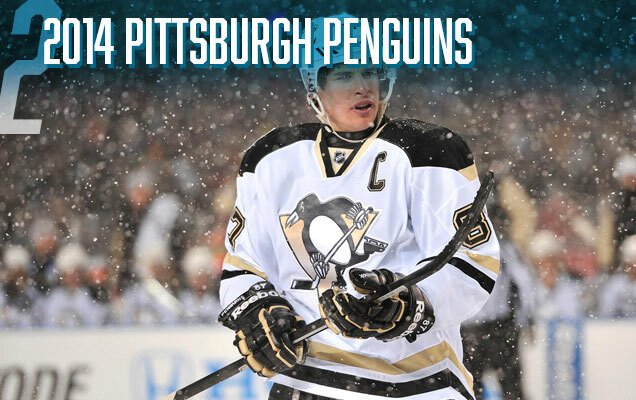 And Pens fans should be ecstatic to see a fully gold jersey again. 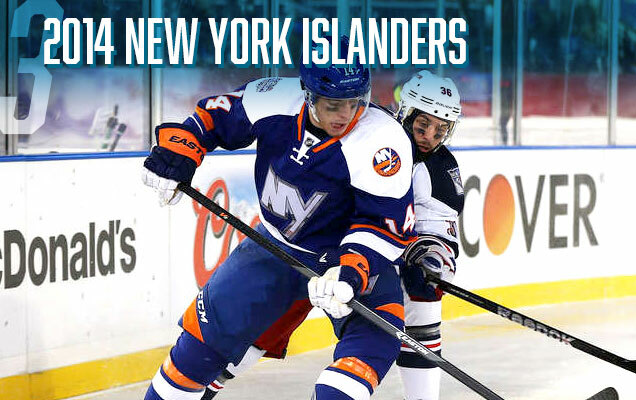 The only team to really introduce a new, or alternate, logo to the Stadium Series was the Islanders, removing everything from their current logo except for the “NY”. 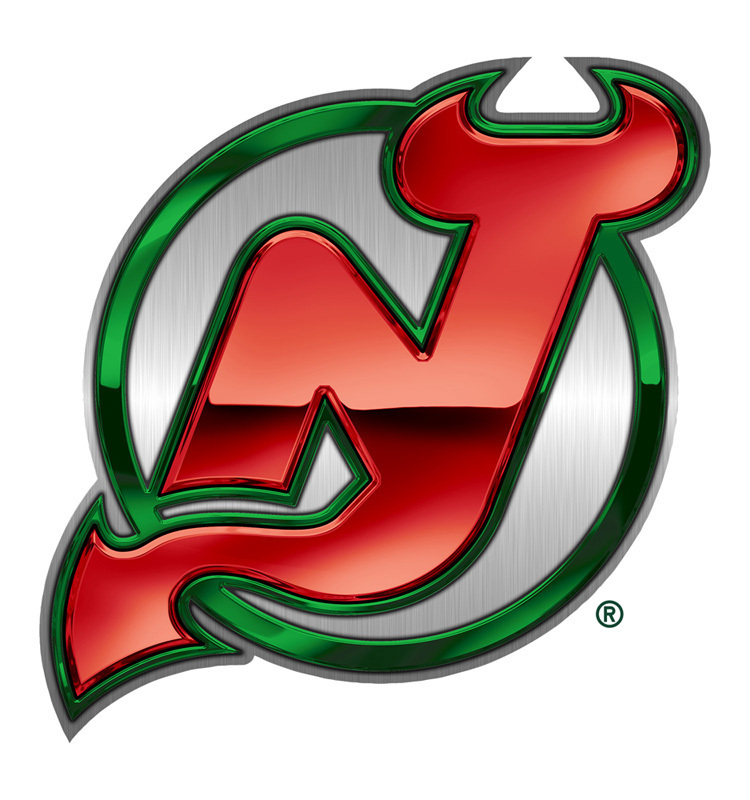 It makes for a more iconic, but strange and modern, logo (kind of like this highrise). Again, it just needs to get rid of the chrome though. 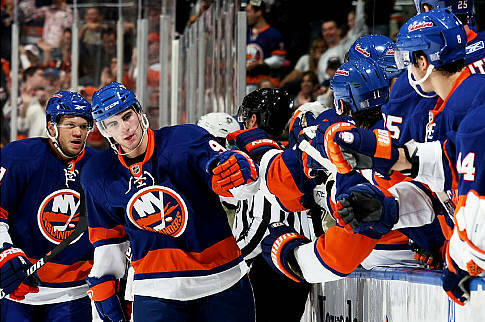 The rest of the jersey is solid, with just enough orange to compliment the blue, and keeping the super-thick stripe pattern that the Isles have on their current jerseys, a look they’re using well. 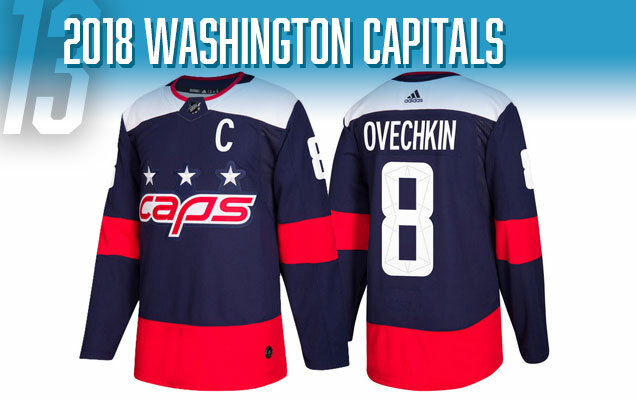 The white shoulder yokes are unexpected and stand out a little bit too much, but overall, this is a solid jersey design for something like the Stadium Series, given the template their working with in terms of what the NHL gave them and their brand’s colours. 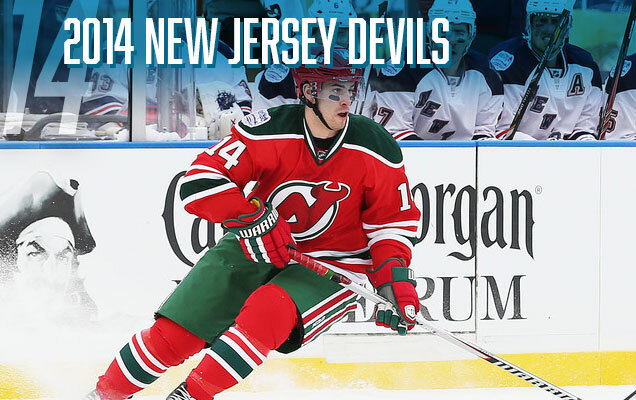 And they even become their third jersey…for one season. Which is waaaaaay better than their previous thirds, not to mention their most recent ones as well. 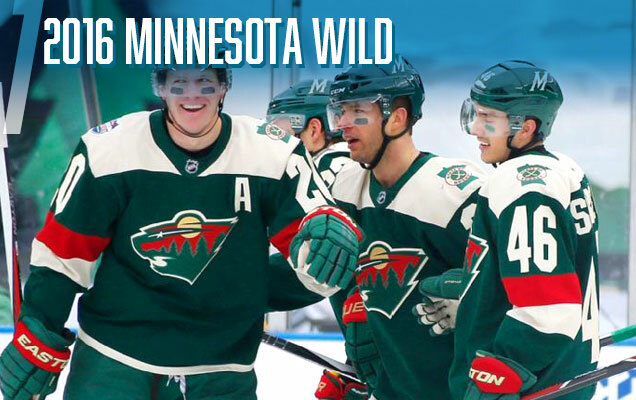 Minnesota is quietly developing one of the best modern sets of jerseys in the entire league and this latest addition – combining the simple and minimalist modernism of the Stadium Series jerseys with distinctively Minnesota Wild branding elements – is excellent. All the elements works together perfectly: colours, stripes, minimalist, modernism, simplicity, details, etc. 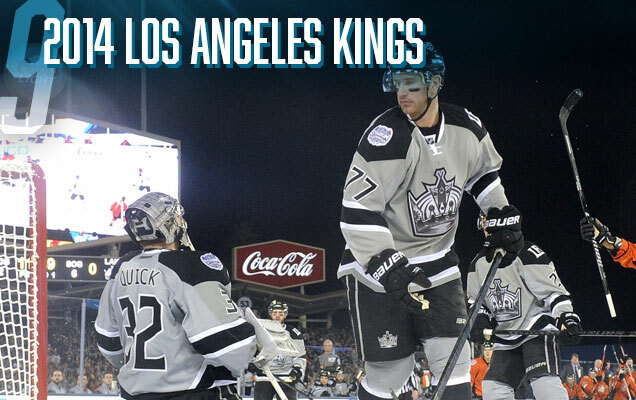 It sets a new high bar for Stadium Series jerseys. 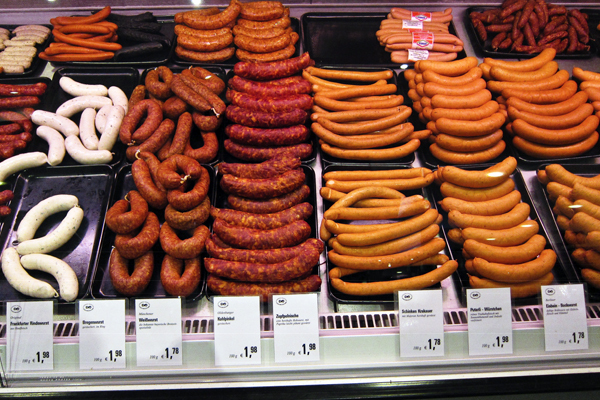 Touchdown Minnesota. Get it? 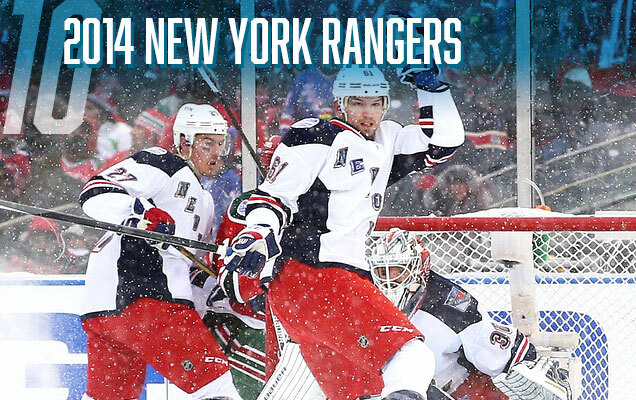 Stadium Series? 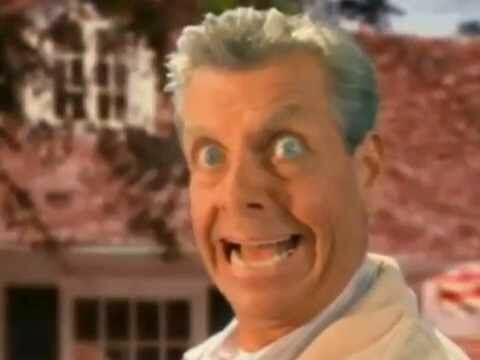 Touchdown? I’m here all week folks. Enjoy the peanuts on your way out. Welp. 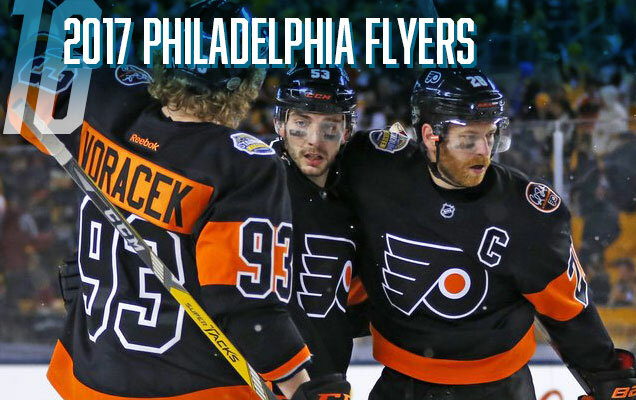 The Flyers are bringing back their Stadium series unis as their new thirds next season. Boo!! !